One month ago today, I started this blog. To celebrate, I am posting a track that I called “home” for two years. This is the track located on the campus of Macalester College in St. Paul, MN. I ran here year my freshman and sophomore years, before transferring to to UW-LaCrosse. Before Mondo, there was Tartan. Macalester’s claim to fame. Tartan was the world’s first polyurethane track surface. It was used in Mexico City for the 1968 Olympics. One of the inventors of the surface, who worked for 3M, happened to be a Macalester grad. In fact, the tartan name refers back to the Scottish heritage of the college. The athletics teams are the Fighting Scots! As legend has it, 3M’s first Tartan track was donated to Mac, where it was installed and tested, and became the premiere track in the country. When I ran there in the late 80’s, it was the same original Tartan surface, when it was on its last legs. The entire track area was remolded in the 90’s, and it was the host of the NCAA Division III national meet in 1997 and 2001. It is a fantastic facility, and one that I still enjoy. attention? 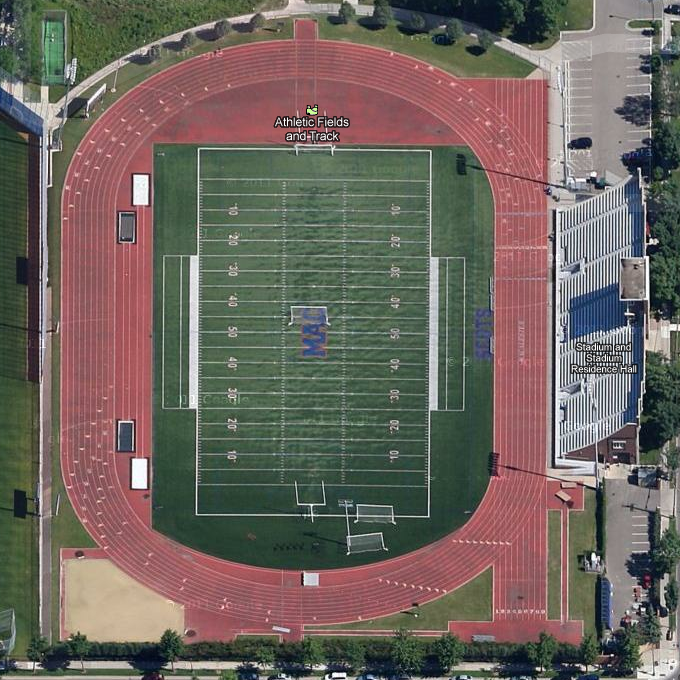 I mean Macalester Stadium – St. Paul, MN | Daily Track Pic is a little boring. say. Just my opinion, it might bring your posts a little livelier.